Anyone remember ComixZone (Wikipedia)? Well, this level is nothing like that game. But it’s a comic panel and reminded me of the good ol’ days! 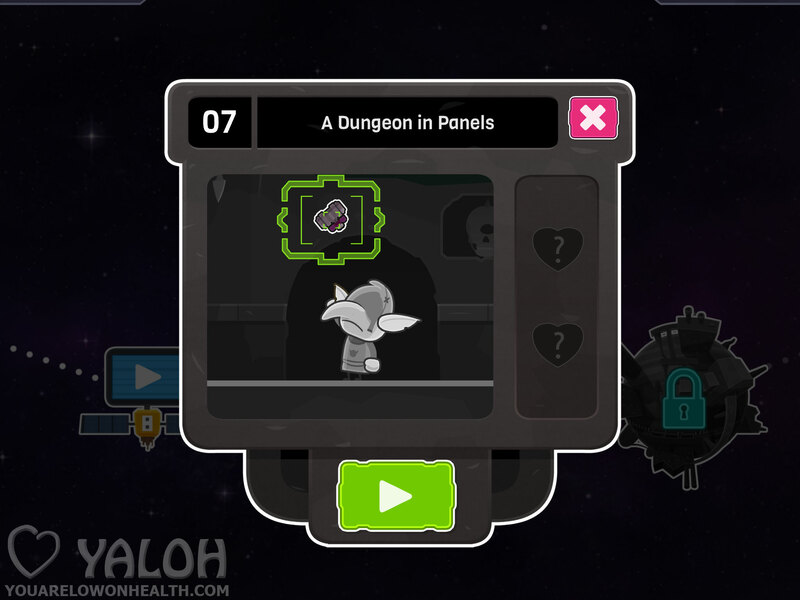 Check out the navigation to your right (or below, if you’re on mobile) to skip between levels. Love You to Bits, without Kosmo even knowing it, slowly transforms from a tale of heartache to one of bold independence. When I try to melt the ice around the key, the key itself melts! I’ve gone as fast as I can, but it won’t work. Any suggestions?